The Octave 3-light bath bar from Savoy House has understated elegance. 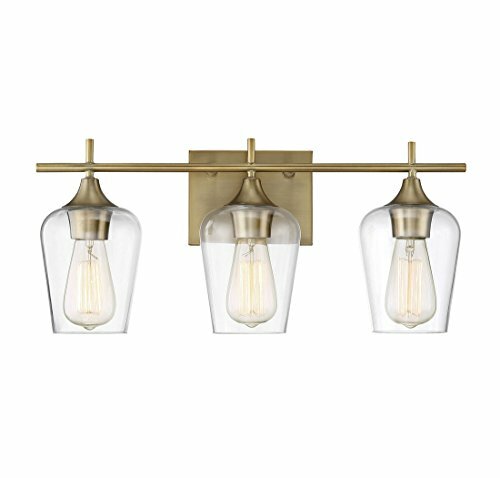 It features large curved shades of clear glass, minimal detailing and a warm brass finish. Fixtures may be mounted as either uplight or downlight. If you have any questions about this product by Savoy House, contact us by completing and submitting the form below. If you are looking for a specif part number, please include it with your message.